This Sunday around 20,000 runners are expected to assemble at the start line of Comrades Marathon in Pietermaritzburg, South Africa. Promoted as the “ Ultimate Human Race,’’ Comrades Marathon is actually an 87-89 km-ultramarathon, run between the cities of Durban and Pietermaritzburg. The former is on the coast; the latter, in the mountains. The number of Indian runners participating in this race has been slowly inching up with 161 runners expected to attempt the 2018 edition of Comrades Marathon. The race, which draws runners from several countries, was first held in May 1921. The route alternates each year between uphill and downhill. The 2018 edition is a downhill run with runners having to complete a total distance of 90.184 km in a time of 12 hours with six timing cut-offs in between. Runners will have to run a bit extra this year to finish the race at the Moses Mabhida Stadium at Durban. Last year, the finish line was at King’s Park Stadium. For the 2018 edition the finish line has been moved to Moses Mabhida Stadium adding an additional kilometre. This was done because of the event’s growing number of runners and spectators, its Twitter handle @ComradesRace said. This year, runners from 80 countries are participating in Comrades Marathon, an official tweet said. The event has been gaining traction among Indian runners. Likely reasons for its popularity include a qualifying time that isn’t as tough to meet as some of the other major international marathons, South Africa being familiar to many in India in the atlas of Indian diaspora and the marathon-like crowd support and ambiance at Comrades, which is unique for an ultramarathon. Interestingly, the community you form once you register and the training done in India ahead of race, also appear to enhance the attraction for Comrades. 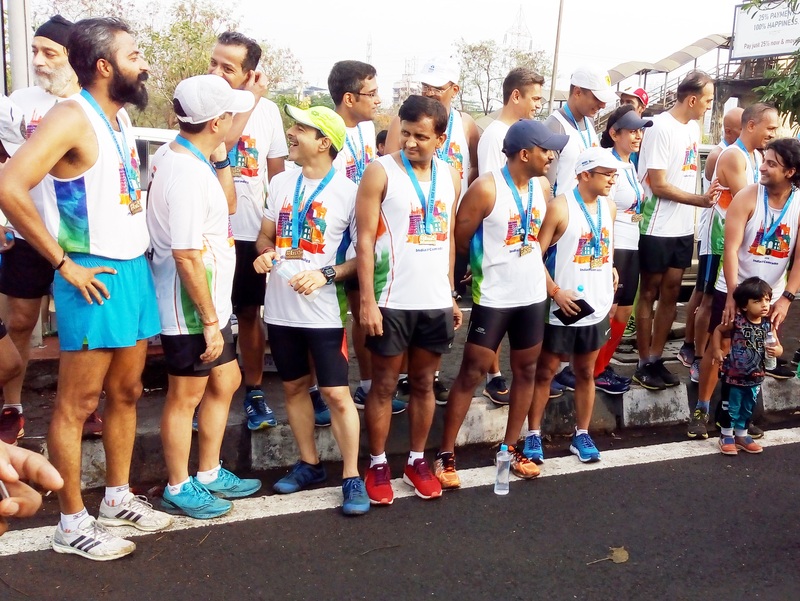 “ Comrades has gained popularity among Indian recreational long distance runners primarily through word of mouth,’’ Satish Gujaran, Mumbai-based ultramarathon runner, said. He has been running Comrades for the past eight years. The 2018 edition of the race marks his ninth attempt. “ The experience of running this ultramarathon starts with the grueling training that lasts for about three to four months. The training is tough mainly because it coincides with India’s punishing summer,’’ he said. Comrades Marathon is usually held early June every year (for more on Comrades and Satish Gujaran please click on this link: https://shyamgopan.com/2015/10/22/the-comrade/). The key element of Comrades Marathon is the training, Dhiraj Dedhia, heading to South Africa this week to participate in the run, said. 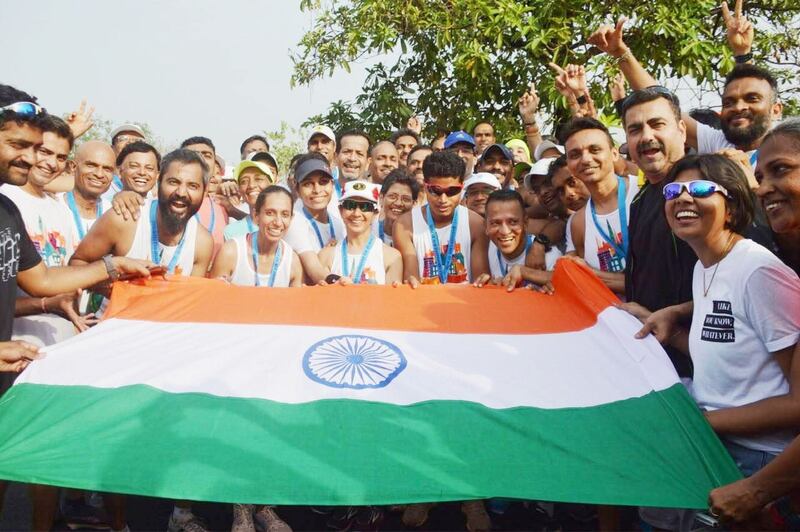 The camaraderie among runners while training for the race is not only infectious but immensely enjoyable, he said. The crowd support, cheering, volunteering and the atmosphere in South Africa add to the experience, Satish said. This experience prompts runners to join in the carnival with numbers from India increasing every year. 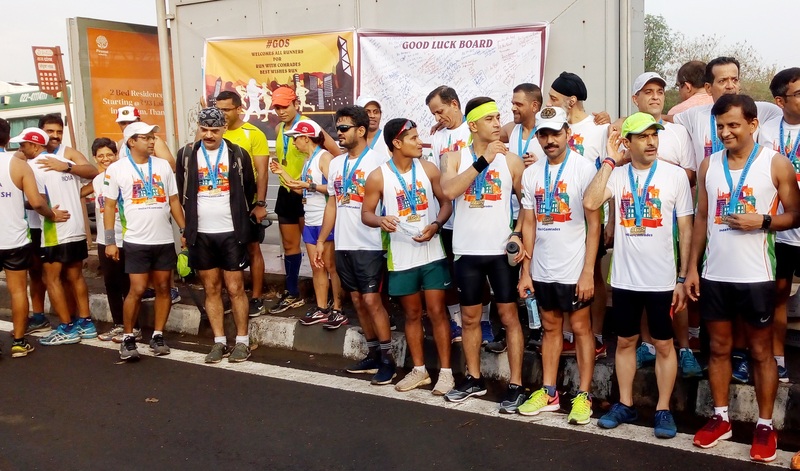 The collective training and the buzz around it has been a major reason for the growing popularity of Comrades among Indian runners.